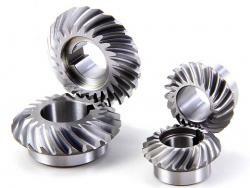 Besta offers extensive manufacturing capabilities for helical gears in diverse sizes, types, base materials, and shaft types. 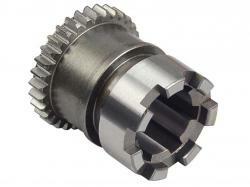 We can produce large-scale helical gears, measuring up to 1200mm in diameter. Diametrical pitch can run to 1.25, with up to a 20 module. The minimum diametrical pitch of which we are capable is 50, and the gear face can measure up to 500mm. Our full production capabilities include machining, heat treating, and finishing. We can produce helical gears from metals like stainless steel and aluminum, as well as non-metal materials from phenolics to nylon. 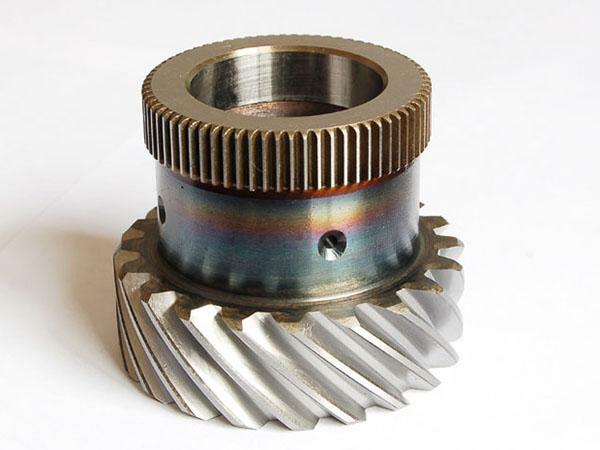 Shafts can be machined in flat or hex shapes, and we feature gear cutting capabilities like hobbing, milling and shaping. Our heat treating services include tempering, quenching, high-frequency, nitriding, carburizing. C45,1045,42CrMnTi,20CrMnTi,2HT200,HT250,QT400-18,QT400-15,Acetal/Delrin,Alloy,Steel,Aluminum,Brass, Bronze, Carbon Steel, Ductile Iron, Gray Cast Iron, Nylo, Plastic, Phenolic, Polycarbonate, Polyester, Stainless Steel etc.